It’s usually a humbling experience when somebody comes along and succeeds with ease where you have already failed miserably. But sometimes you need a little humility to get to a place of deeper understanding. Way back at the end of September, I tried to introduce chess to the SKs. I played up the thrilling warfare angle, created backstories to help explain the way the pieces moved, and generally did my best to sell the students on a complex and exciting game of strategy. One month later, the boards were gathering dust and the knights were being used as “guys” in LEGO castles. But then a Grade 5 student came along. She had recently read a book called The Queen of Katwe, which chronicled the life of a poor rural Ugandan girl whose love of chess helped her pull herself out of poverty and set her on the path to becoming a world-class Grandmaster. Inspired by the story, she decided that her leadership project would be to teach chess to the little ones in Kindergarten. So she recruited a few friends, hunted down some extra boards, and started coming every Friday at lunch. The first visit from the Grade 5s was at the start of January. And with only a few visits, these student leaders have inspired almost half the SK kids to pick up the game and give it a try. 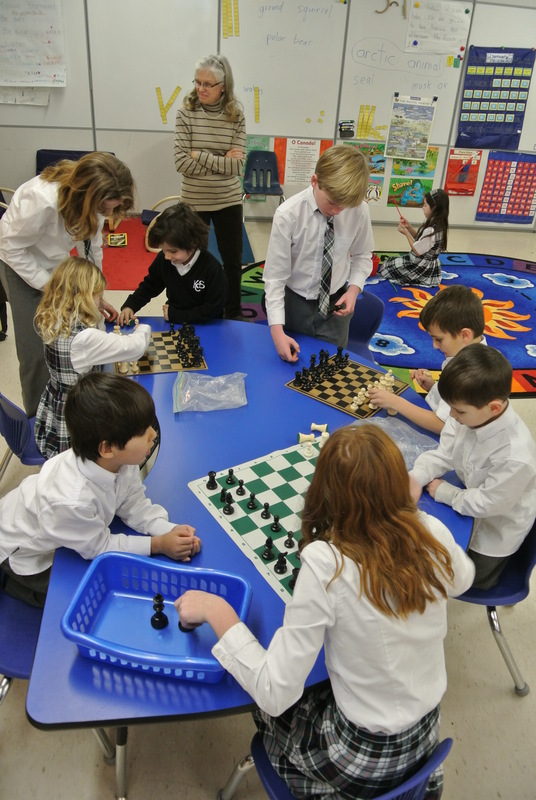 The class now cheers when they see “Chess Club” on the daily schedule, and pick-up games during free choice time have become a common sight. For me, watching these Grade 5s succeed where I had failed has reminded me that the Official Teacher Voice of Authority just can’t compete with joyful enthusiasm from a fellow student. Peer teaching is a powerful tool, and I feel so fortunate to have ended up at a school where it emerges and grows in an organic and authentic way. 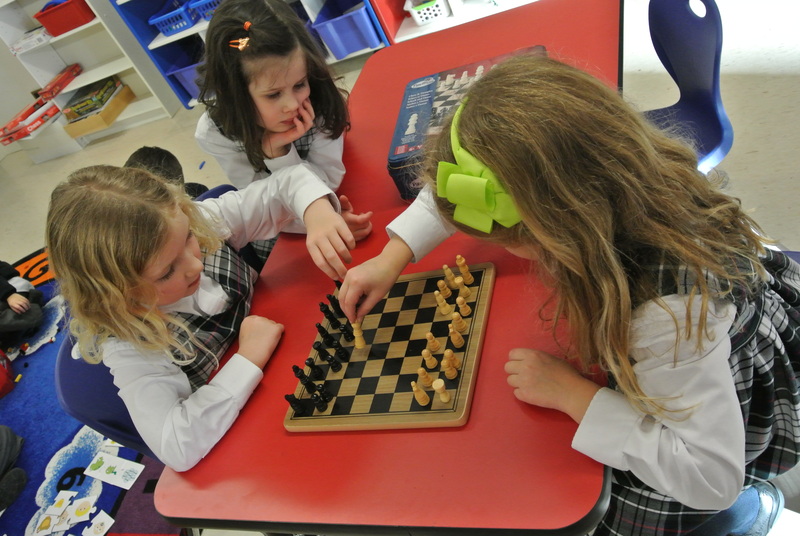 This entry was posted in Early Learning, Teaching and tagged chess, Chess Club, kindergarten, leadership, Peer teaching, SK by Mark Magee. Bookmark the permalink.